Despite refined white cane sugar crystals being mainstreamed and the most available and sold sugar everywhere, there are many types of cane sugar out there for you to use in baking and flavouring your food and drinks. 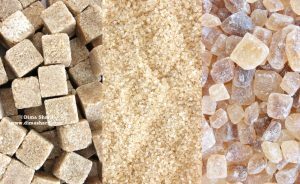 Each type of cane sugar has its own unique characteristics, flavour palate and even texture. Cane sugar is by far the most acclaimed and best tasting sugar worldwide. And as ever, unrefined produce is always superior in quality to the refined counterparts, and that is apart from the fact that unrefined sugar are better for your health than the refines varieties. So whenever possible opt for pure unrefined cane sugar for best results and flavours especially when making confections and baking. Using different types will give you different results, and a variety of flavours. 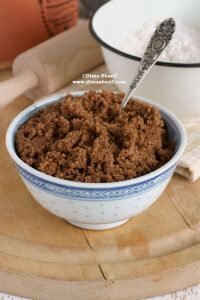 Dark Muscovado Sugar, for instance, is soft and sticky in texture, admirable in baking cookies. It tastes slightly caramel’ish, slightly buttery with deep sugary tones, all of which will be experienced when eating that cake or cookie. It is dark coloured, which is very favourable when baking a fruitcake for instance. All these characteristics are not possibly achievable with the use of regular refined granulated white sugar crystals. These sugars are usually used by producers of superior quality baked goods, juice concentrates, spirits, as well as gourmet bakeries and top notch restaurants. These people know that good quality sugars make a huge difference to their products, therefore, and unlike mainstream less quality mass producers, they would not opt for the cheaper refined white sugars. You too can bring gourmet to your food. Do experiment with different sugars and see for yourself how the same recipe could have a multitude of outcomes using different sugars. Most importantly how it is instantly upgraded to gourmet standard. Golden Caster– Dry, golden coloured, free-flowing sugar that quickly dissolves because of its fine granulation. This sugar can be used to replace refined caster sugar. Used by Gourmet Bakeries for the production of confectioneries biscuits and cookies as well as some types of cakes especially sponges. Golden Granulated– Golden Coloured, dry and free-flowing sugar. It has a subtle buttery flavour. It is generally used to substitute refined granulated sugar. This sugar is an ideal sweetener for fresh fruits, teas and cereals. It is a favourable sugar to use in the making of jams, especially marmalade. Because of its delicate flavour it is an excellent choice for use in making cookies and cakes. This sugar is also the preferable choice in wine making. Special Raws– Dry, free-flowing and homogeneously granulated. Its flavour is rich and retains the natural elements intrinsic to sugarcane juice. Being Raw, this sugar is listed as a natural ingredient in the food industry and is the choice of health shops and bakeries. Fine Demerara– Free-flowing, golden brown sugar with fine sparkling crystals that are enrobed in cane molasses, which lends it its distinctive flavour. This sugar is an ideal sweetener for coffee. Excellent for use in making crunchy cake toppings and for sweetening fresh fruits. Standard Demerara– Same as the fine Demerara, except it has larger homogeneous sparkling crystals. It has a crunchy yet sticky texture. The flavour notes are the same as the Fine Demerara, especially through the presence of molasses enrobing the crystals. 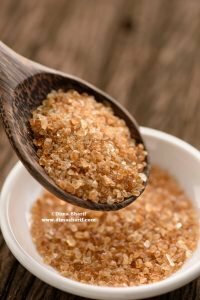 Dry Demerara– This version of Demerara with the same qualities of the Fine & Standard Demerara is used in making Demerara sugar Cubes. Best used for moulded sugar works. Golden Bakery– Light brown, fine grained sugar that is soft and retains a free-flowingness even during long storage, which makes it gourmet bakers’ favourite choice. Light Muscovado– a pale brown in colour, soft and fine grained sugar. Muscovado sugar has a rich sweet aroma yet a delicate flavour. Very popularly used in making confectioneries and baking. Ideal for cakes, puddings and biscuits. Dark Muscovado– Fine-grained dark brown sugar, very rich in natural molasses which gives it its signature sticky texture, special deep, sweet as well as caramelish flavour and aroma. This bold flavour stands well against spiced baked goods such as gingerbreads and spiced fruitcakes. This sugar is also the preferred choice in savoury dishes, sauces especially for sweet and sour concoctions. Dark Brown Soft– This is a relatively new addition to the menu of sugars that had gained huge popularity in recent years, especially among gourmet producers, bakeries and even home bakers. It is a fine-grained sugar, that is dark brown and soft. Mildly flavoured, with a distinct taste that is still light and not too rich. Especially good for making sharp sweet sauces, and more recently specific dark coloured caramels that are light in flavour. Molasses– The most distinct of all sugars. Almost black in colour (as it contains the highest amount of natural molasses amongst all soft sugars). It is fine-grained with a very sticky, almost muddy texture. It is very rich, with ever so slight bitter tones, earthy and almost like treacle. Christmas bakes love this sugar from fruitcakes, to puddings and gingerbreads to spice cakes and even toffee. This is the sugar that is so bold it stands up to any flavour adding its own depth and dimension. It is used in the brewery trade, especially in the making of Distilled Rum. It is also used in the making of gourmet chutneys as well as pickles and savoury sauces. Very versatile and a true touch of gourmet. Uncover the sea of sugars and see what sets gourmands apart from other cooks and producers. You see we all consume sugar, use it in baking, cooking… and everything else. It is the choice of sugar that makes the difference. That is one of the factors that make bakery X’s cakes way tastier and far more interesting from Y’s!